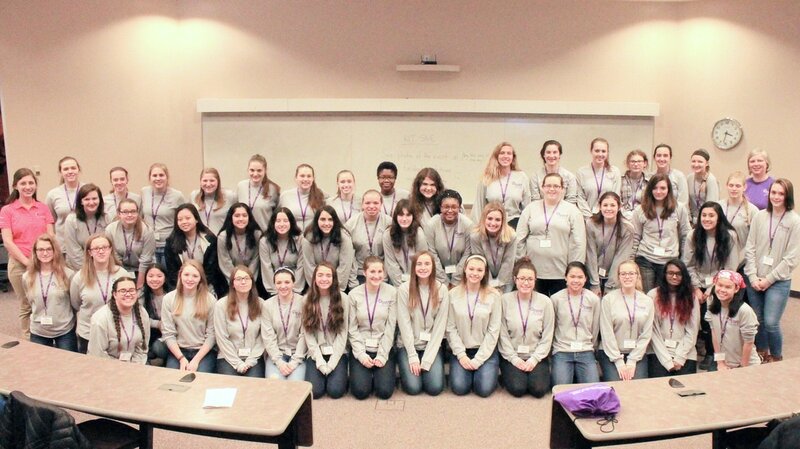 SWE Overnight is a shadow program at the Rochester Institute of Technology for female high school juniors. This program offers participants the opportunity to explore various engineering fields through hands-on workshops and interactions with current RIT engineering students and professors. A mentoring relationship can also be developed through our panel discussion and mentoring lunch, which helps facilitate the transition from high school to college. Our goal is to motivate and inspire young women to pursue a career in STEM fields (Science Technology Engineering Mathematics). REGISTRATION FOR FEBRUARY 2019 IS CLOSED! The RIT campus is reachable by car, bus, train, and plane (the Greater Rochester International Airport is only 10 minutes away), making it easy for participants from all locations to attend! Please visit our FAQ page for general questions or contact the Overnight Coordinator, Paula Zaretzky.